Почему моделируете именно русских ? Хорошо получилось. Молодцы ребята из Гонк Конга! 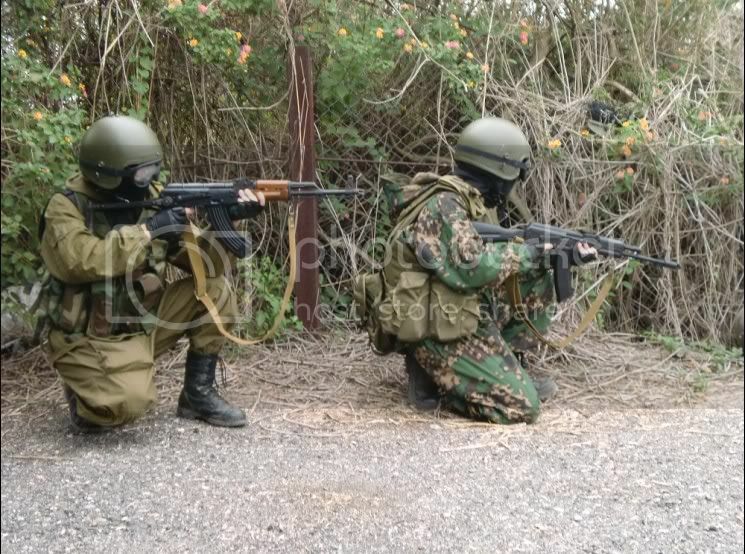 Why you exactly replicate russian combat units? replicate Helmet and bullet-proof vests? This is joke , why you play for russian units ? почему подражаете русским солдатам? может так? В смысле пьют водку и на игре бегают с балалайкой и медведями? I finally understand your problems, I think the Russian military clothing and equipment and very special, different camouflage, the soldiers are free to match clothes, This is the other country does not have the, there are those helmets are very special, i have a question, In Belarus and Russia is that not everyone will be in English? because this is the website in Belarus. You think russian equipmenet good or not? Do you mean that everyone in our country haven't got basic knowledge in english? okey , you think russian clothes , helmet, body armor good or not?